For the fruit, see Lime (fruit). For the mathematical concept, see Limit (mathematics). Originally the Latin noun līmes (English: /ˈlaɪmiːz/; Latin pl. līmitēs) had a number of different meanings: a path or balk delimiting fields, a boundary line or marker, any road or path, any channel, such as a stream channel, or any distinction or difference. The term was also commonly used after the 3rd century AD to denote a military district under the command of a dux limitis. Some experts suggested that the so-called limes may have been called Munimentum Traiani, Trajan's Bulwark, referring to a passage by Ammianus Marcellinus, according to which emperor Julian had reoccupied this fortification in 360 AD. The limites represented the border line of the Roman Empire at its greatest extent in the 2nd century AD. It stretched more than 5,000 km from the Atlantic coast of northern Britain, through Europe to the Black Sea, and from there to the Red Sea and across North Africa to the Atlantic coast. The remains of the limites today consist of vestiges of walls, ditches, forts, fortresses, and civilian settlements. Certain elements of the line have been excavated, some reconstructed, and a few destroyed. The two sections of the limes in Germany cover a length of 550 km from the north-west of the country to the Danube in the south-east. The 118 km long Hadrian's Wall was built on the orders of the Emperor Hadrian c. AD 122 at the northernmost limits of the Roman province of Britannia. It is a striking example of the organization of a military zone and illustrates the defensive techniques and geopolitical strategies of ancient Rome. The Antonine Wall, a 60 km-long fortification in Scotland, was started by Emperor Antoninus Pius in AD 142 as a defense against the "Barbarians" of the north. It constitutes the northwestern-most portion of the Roman Limes. Limes Moesiae, the frontier of the Roman province Moesia, from Singidunum Serbia along the Danube to Moldavia. Limes Norici, the frontier of the Roman province Noricum, from the River Inn along the Danube to Cannabiaca (Zeiselmauer-Wolfpassing) in Austria. Limes Pannonicus, the frontier of the Roman province Pannonia, along the Danube from Klosterneuburg Austria to Taurunum in Serbia. Fossatum Africae, the southern frontier of the Roman Empire, extending south of the Roman province of Africa in North-Africa. A mediaeval limes is the Limes Saxoniae in Holstein. The stem of limes, limit-, which can be seen in the genitive case, limitis, marks it as the ancestor of an entire group of important words in many languages, for example, English limit. Modern languages have multiplied its abstract formulations. For example, from limit comes the abbreviation lim, used in mathematics to designate the limit of a sequence or a function: see limit (mathematics). In metaphysics, material objects are limited by matter and therefore are delimited from each other. In ethics, men must know their limitations and are wise if they do. An etymology was given in some detail by Julius Pokorny, Indogermanisches Etymologisches Wörterbuch. According to him, it comes from Indo-European el-, elei-, lei-, "to bow", "to bend", "elbow". The Latin meaning was discussed in detail by W. Gebert. The sense is that a limit bends across one in some way. The limes was a cross-path or a cross-wall, which the Romans meant to throw across the path of invaders to hinder them. It is a defensive strategy. The Romans never built limites where they considered themselves free to attack. As the emperor had ordered the army to stay within the limites, except for punitive expeditions, these were as much a mental barrier as material. The groups of Germanic warriors harrying the limes during summer used the concept to full advantage, knowing that they could concentrate and supply themselves outside the limes without fear of preemptive strikes. In a few cases, they were wrong. The limit concept engendered a sentiment among the soldiers that they were being provoked by the Germanic raiders and were held back from just retaliation by a weak and incompetent administration: they were being sold out. So they mutinied. The best remedy for a mutiny was an expedition across the limes against the enemy. Toward the later empire, the soldiers assassinated emperors who preferred diplomacy and put their own most popular officers into the vacant office. Roman writers and subsequent authors who depended on them presented the limes as some sort of sacred border beyond which human beings did not transgress, and if they did, it was evidence that they had passed the bounds of reason and civilization. To cross the border was the mark of a savage. They wrote of the Alemanni failing to respect the limes as if they had passed the final limitation of character and had committed themselves to perdition. The Alemanni, on the other hand, never regarded the border as legitimate in the first place. They viewed the Romans as foreigners, who changed native place names and intruded on native homes and families (see under Alemanni). They were only to be tolerated because they were willing to pay cash for the privilege and also offered the blandishments of civilized life. According to Pokorny, Latin limen, "threshold", is related to limes, being the stone over which one enters or leaves the house. Some scholars have viewed the frontier as a threshold. The Merriam–Webster dictionaries take this view, as does J. B. Hofmann in Etymologisches Wörterbuch des Griechischen under leimon. The White Latin Dictionary denies any connection, deriving limen from *ligmen, as in lien from *leig-, "tie". In this sense, the threshold ties together the doorway. The American Heritage Dictionary does not go further than Latin limes. The limes in Britain (Limes Britannicus) is on the territory of the present-day United Kingdom in England, Scotland and Wales. 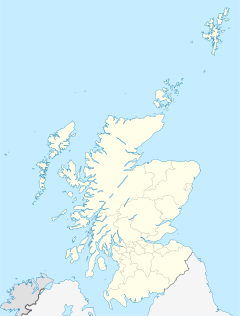 From the 1st to the 2nd century, the Gask Ridge and the Stanegate, with their chains of Roman camps and watchtowers, marked the northern boundary of Britannia. Later the isthmuses in the north between the Firth of Forth and Firth of Clyde were guarded by the defences of the Antonine Wall and the line between the mouth of the Tyne and Solway Firth by Hadrian's Wall. The perimeter defence of Hadrian's Wall was achieved through the construction of camps (castella) on the lowlands, which were built along the most important roads in the north. Security and monitoring on the coasts in the west and southeast was achieved by camps and by chains of watchtowers or signal towers, both along the coastline and along main roads in the interior. This limes of the Late Antiquity ran through the territory of the present-day United Kingdom and France. In the 3rd century, a separate military district, the Litus Saxonicum, was established on the British side of the English Channel between the estuaries of the Wash and the Solent, to repel Saxon pirates and plunderers. The Gallic side of the English Channel and Atlantic coast were included therein. Monitoring and coastal surveillance were carried out by a chain of watchtowers or signal towers, camps and fortified ports (Gaul). Most of the Saxon Shore camps probably served as naval bases. This section of limes existed from the 1st to the 5th century AD and ran through the province of Lower Germania (Germania Inferior). It lies on the territory of today's Netherlands and Germany. This limes was a river border (limes ripa) on the Rhine, defended by a chain of camps, that ran from the North Sea (Katwijk-Brittenburg camp) to Vinxtbach (opposite Rheinbrohl fort on the Upper Germanic Limes, forming the border between the Roman provinces of Germania Inferior and Germania Superior. By contrast with the Upper Germanic-Rhaetian Limes, it was not marked by a solid palisade or wall. Neither can any defensive ditch or rampart be identified. The guards were stationed in nearby castra and watchtowers usually built immediately on the Rhine. The limes was served by a well-developed military road. Each camp had its own river port or landing stage and a storage area, because the Rhine not only formed the border but was also the most important transport and trade route in the region. In the first section, between the camps of Rigomagus (Remagen) and Bonna (Bonn), there were only a few camps. In the second, middle, section between Bonna and Ulpia Noviomagus Batavorum (Nijmegen), there were considerably more. Here there were also larger legion camps; with one exception, all were cavalry barracks. The landscape of the third section between Ulpia Noviomagus Batavorum and Mare Germanicum (the North Sea) was characterised by numerous small streams and boggy marshland. Consequently, in this area there was only one cavalry camp. Border security here consisted mainly of tightly packed, relatively small cohort forts. The occupying troops, Exercitus Germaniae Inferioris, consisted mostly of auxilia cohorts. From the 2nd century, the strategic reserve comprised three legions stationed in Bonna/Bonn, Novaesium/Neuss, Vetera/Xanten and Noviomagus/Nijmegen. The control and surveillance of the waters of the North Sea, the Rhine estuary and the Lower Rhine was the responsibility of the Classis Germanica whose headquarters was in Colonia Claudia Ara Agrippinensium/Cologne. Legions, auxilia and fleet units were commanded by the respective provincial governor. From the 3rd century the ripenses (river guards), comitatenses, and liburnaria were under the command of the Dux Belgicae secundae. 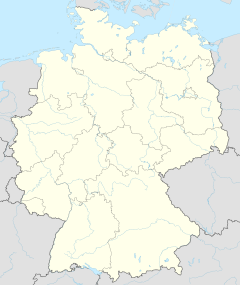 It lay on the territory of the present German states of Rhineland-Palatinate, Hesse, Baden-Württemberg and Bavaria. To the north, it bordered those parts of the Roman province of Rhaetia that lay north of the Danube and guarded the eastern border of that part of Germania Superior that lay east of the Rhine. In Upper Germania the border defences initially consisted only of a post road. From about 162/63 AD, the Romans constructed a defensive barrier with watchtowers and signal towers, palisades, ditches and earthworks. On one short section of the Rhaetian Limes, a solid stone wall was erected. In its final stages, the Upper Germanic-Rhaetian Limes was about 550 kilometres long and ran from Rheinbrohl, in the county of Neuwied in northern Rhineland-Palatinate, as far as Hienheim on the Danube. Between the villages of Osterburken and Welzheim, the limes ran for 81 kilometres almost in a straight line southwards. In the scholarly literature, this unusual section is considered as evidence that this type of boundary wall had never been used for defensive purposes. But the land of Agri Decumates that was guarded by this limes had to be vacated by the Romans in 260-285 AD. They moved their bases back to the banks of the Rhine and Danube, which were much easier to defend militarily. The exact route of the limes along the border between Upper Germania and Raetia has not been fully explored. In the late 4th and early 5th centuries, the Rhaetian Limes was reorganized and divided into three sections. The northern border of Rhaetia formed the pars superior (upper part), the western border was the pars media (central part) with the fortified town of Cambodunum and bases from Vemania to Cassilacum; the pars inferior (lower part) was the section between Regensburg and Passau. It lies on the territory of present-day Germany, Austria, Switzerland and Liechtenstein. As early as the period 15 BC to about 70 AD, the border between Rome and Germania ran mostly along the line of the late antique Danube-Iller-Rhine Limes (DIRL) before the Romans advanced further north into the Agri decumates. Because of troop withdrawals and massive barbarian invasions, the Upper Germanic-Rhaetian Limes were abandoned in the late 3rd century and the Roman forces pulled the border back to the banks of the three rivers. Especially around the year 300, the Emperor Diocletian had new fortifications built directly on the river banks or on major roads in the hinterland here. Around 370 AD, the line of fortifications was considerably strengthened under the Emperor Valentinian I to counter the Alemanni, who were steadily advancing southwards. By contrast with the Upper Germanic-Rhaetian Limes, the DIRL primarily fulfilled defensive purposes; its camps had much stronger and higher walls than their High Imperial predecessors. Furthermore they had in most cases been built to conform to the local topography. This meant that they could not be built in the classical 'pack of cards' shape. Between them a dense chain of watchtowers and signal towers was constructed to provide an additional security measure (burgi). Flotillas of patrol boats were stationed on the large lakes in this region. Lake Neuchâtel: Classis Barcariorum (HQ at Eburodunum/Yverdon). This section of the limes existed from the 1st to the 5th century AD and guarded part of the Roman province of Noricum. It is on the soil of the present-day Austrian states of Upper and Lower Austria. It ran along the Danube from Passau/Boiodurum to Zeiselmauer/Cannabiaca. This is also a ripa (river border), which was guarded by a loose chain of cohort forts. The main road on the Norican Limes was the via iuxta amnem Danuvium. The initially simple wood and earth structures were systematically converted under Emperor Hadrian into stone encampments. During the 4th century, they were brought once more up to date and massively reinforced. Between the camps, in strategic places or good points of observation, were watchtowers or signal towers and, in the Late Antiquity, burgi. 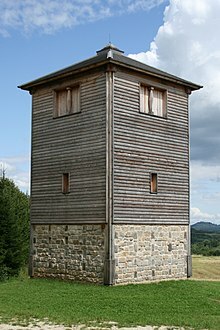 In the middle section, between the camps of Favianis and Melk, watchtowers were built only sporadically. Here the narrow valley of the Wachau, with its densely forested escarpments, made access to the riverbank more difficult, providing some defensive function. Every camp had its own river port or landing stage and a storage area because the Danube was not only border zone, but also the most important transport and trade route in the region. Over time civilian settlements or vici were established immediately next to the camps. In the immediate hinterland of the limes, walled towns or municipia were founded - for example, Aelium Cetium or Ovilava (Wels). They were the administrative or commercial centres of the region. In late antiquity, the Norican area was divided into two parts (pars inferior and pars superior). It is probable that a second, defensive line was created to the rear (Castrum Locus Felicis). The claustra alpium iuliarum lay on the present-day territories of Austria, Slovenia, Croatia and Italy. It was a system of ramparts, camps, watchtowers and burgi in the Julian Alps that was to protect the mountain passes into Italy, especially the Via Gemina, from invaders. The first fieldworks and signal towers were built in the 1st century AD. When Barbarian attacks on the Roman Empire intensified during the 3rd century, the defensive barrier was massively expanded and strengthened in the late 3rd and early 4th centuries under the reigns of the Emperor Diocletian and Constantine the Great. The heart of this defensive system was the castella of Ad Pirum in the Birnbaum Forest, which guarded the pass crossing to Italy. It had a permanent garrison of 100 to 500 men. Also part of the Claustra were the military stations of Nauportus (Vrhnika) and Castra (Ajdovščina) on both sides of the Birnbaum Pass. The Claustra continued in use up to the 5th century. The occupying troops (limitanei) in the Late Antiquity were part of the military district of tractus Italiae circa Alpes and under the command of the Comes Italiae. The Pannonian Limes is situated on the territory of present-day Austria, Slovakia and Hungary. Although this section of the frontier was relatively well protected by the Danube river border or Ripa, the Roman military presence here was always exceptionally strong (three military camps in Pannonia, but only one in Lower Pannonia) because especially after the abandonment of Roman Dacia in the late 3rd century, the pressure of migrant peoples from the east on this section of the limes intensified. The tributaries emptying into the Danube offered cheap transport routes, but also made good approach routes for invaders and raiders. The military camps were therefore built by the most important fords or confluences and road termini. The legion- and auxilia camps were mainly located in the immediate vicinity of the riverbank. The initial wood and earth structures, were systematically converted under Emperor Hadrian into stone barracks and, in the 4th century, redesigned and massively strengthened in order to match new strategic requirements. The gaps between the camps were closed by a chain of watchtowers or signal towers. In late Roman times huge inland camps were built and towns in the hinterland were fortified to create a second line of defence. In addition, at vulnerable points, units of the Danube fleet were stationed. In the time of Emperor Marcus Aurelius the first mention is made in Pannonia of stone watchtowers (burgi, panelled towers and fortlets (praesidia). In late antiquity, the Pannonian military district was divided into two parts (pars inferior and pars superior). Advance defences were provided by bridgehead camps (e.g. Castra Contra Aquincum or Celemantia) and military stations on main transport routes in the Barbaricum (e.g. near Musov). Fossatum Africae ("African ditch") is a linear defensive structure (limes) that extended over 750 km or more in northern Africa constructed during the Roman Empire to defend and control the southern borders of the Empire in the Roman province of Africa. It is considered to have many similarities of construction to Hadrian's Wall at the northern border of the Empire in Britain. Generally the Fossatum consists of a ditch and earth embankments on either side using the material from the ditch. Sometimes the embankments are supplemented by dry stone walls on one or both sides; rarely, there are stone walls without a ditch. The width of the Fossatum is generally 3–6 m but in exceptional cases may be as much as 20 m. Wherever possible, it or its highest wall is constructed on the counterscarp. Excavations near Gemellae showed the depth there to be 2–3 m, with a width of 1 m at the bottom widening to 2–3 m at the top. The Fossatum is accompanied by many small watchtowers and numerous forts, often built within sight of one another. There are similar, but shorter, fossatae in other parts of North Africa. Between the Matmata and Tabaga ranges in modern Tunisia there is a fossatum which was duplicated during World War II. There also appears to be a 20-km. fossatum at Bou Regreg in Morocco although this would not have been within the scope of the proclamation of the Codex Theodosianus because at that time the province was not in Africa, administratively speaking. The novel series Romanike is set at the Limes Germanicus in the decades until the first assault of Germanic peoples in 161 AD. ^ Benjamin Isaac, "The Meaning of 'Limes' and 'Limitanei' in Ancient Sources", Journal of Roman Studies, 78 (1988), pp. 125–147; Benjamin Isaac, The Limits of Empire: the Roman Army in the East (Oxford: Oxford University Press, revised edition 1992). ^ W. Gebert, "Limes", Untersuchungen zur Erklärung des Vortes und seiner Anwendung, Bonner Jahrbücher Bd. 119, No. 2, 1910, 158–205. ^ M.J.T. Lewis: Surveying Instruments of Greece and Rome, Cambridge University Press, 2001, ISBN 0-521-79297-5, pp. 242 245. ^ This figure depends very much on the way it is measured over the intervals where the Fossatum was not constructed or has disappeared, and includes a significant section which may not be a fossatum. ^ Baradez (1949) p. 93. ^ Baradez (1949) p. 146. ^ Baradez (1949) p. 114. Wikimedia Commons has media related to Limes (frontier).